Saving the Bighorn Country - Alberta NDP Government's Greatest Legacy or Squandered Opportunity? The Alberta government recently announced a proposal to protect 380,000 hectares of the spectacular Rocky Mountains next to Banff and Jasper Parks in the Bighorn Country – after literally 50 years of deliberation by successive governments! Right now Alberta’s NDP government is deliberating on whether or not to make a new protected area a part of their legacy, or to squander this first rate opportunity out of fear and hesitation. The Bighorn Country is a Rocky Mountain wilderness in the headwaters of the North Saskatchewan and Red Deer Rivers. It is a wildlife haven, home to grizzly and black bears, wolverine, wolves, mountain lions, lynx, bighorn sheep, mountain goats, moose, elk, deer, bull trout, Athabasca rainbow trout, limber pine, and whitebark pine. The proposal includes increased protection for vital grasslands, low elevation montane forests, subalpine forests, and alpine tundra, and lakes, rivers, and streams. It lies in Treaties 6, 7, and 8 and is also of interest to the Metis Nation. Some of these mountains were once part of Banff and Jasper National Parks, but were removed when the parks were downsized long ago. The proposal would expand, amend, or create four provincial parks and four recreation areas, which would ensure greater environmental and recreational certainty by curtailing any future expansion of logging, oil and gas surface drilling, and coal mining operations, while better planning and managing recreational activities. Existing trails and recreational activities would continue, some existing campsites would be improved and expanded, and the proposal would hugely bolster the local and provincial economy. Tourism developments would be located in existing “tourism nodes”and most of the business expansion would occur in the local towns and cities (not expand everywhere within the wilderness areas, as has been mischaracterized) , providing jobs and revenues to local communities, along with a $40 million tourism and infrastructure investment fund in the region by the Alberta government. Hunting and fishing would continue, and with greater regulation and enforcement of motorized vehicle access (ie. ATVs would have to stick to designated trails, rather the current free-for-all) hunting pressure would diminish in significant areas, creating "refugia" where wildlife populations can rebuild (not only benefitting wildlife, but inadvertently benefitting hunters as populations expand outwards from refugia areas), and the erosion and damage to trout streams would diminish (thus benefitting fish and anglers alike). 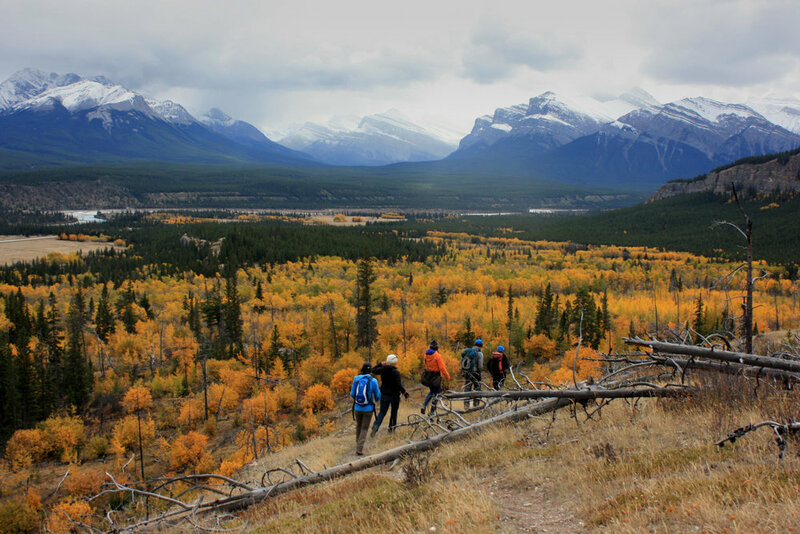 The proposal will help Alberta reach the 17% protected areas commitment for Canada by 2020, bringing protection levels in Alberta to about 15%. The Endangered Ecosystems Alliance has reached more than 200,000 Canadians, mainly in Alberta, via its Facebook campaign, to support the local groups spearheading the campaign, including the Canadian Parks and Wilderness Society (CPAWS), Alberta Wilderness Association (AWA), and the Yellowstone to Yukon (Y2Y) Conservation Initiative. People power will be a determining factor on whether the Bighorn Country is finally protected! Please SEND a LETTER to the Alberta government to make the Bighorn Country protections a reality via CPAWS.